High quality and high style, this Safavieh Courtyard area rug is extremely useful in any home. Designed as an indoor/outdoor piece, its plush synthetic material will make you feel cozy and comfortable. This machine-made rug is durable and modern. This contemporary blue rug has a lovely floral plants pattern for an impressive look. 6 ft. 7 in. X 9 ft. 6 in. Courtyard Marc Navy / Beige 6 ft. 7 inch x 9 ft. 6 inch Indoor/Outdoor Area Rug High quality and high style, this Safavieh Courtyard area rug is extremely useful in any home. Designed as an indoor/outdoor piece, its plush synthetic material will make you feel cozy and comfortable. This machine-made rug is durable and modern. 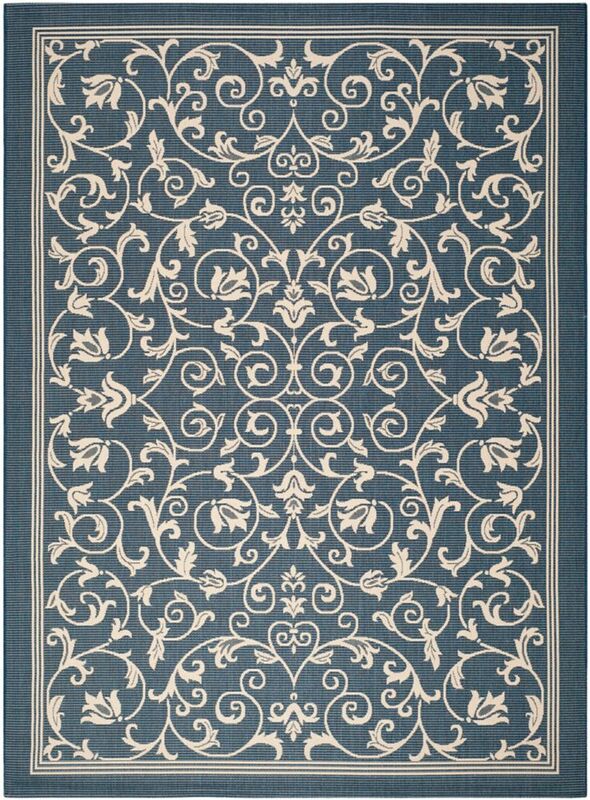 This contemporary blue rug has a lovely floral plants pattern for an impressive look.